Raise from £3,500 to over £150,000 and you could get funds within days. 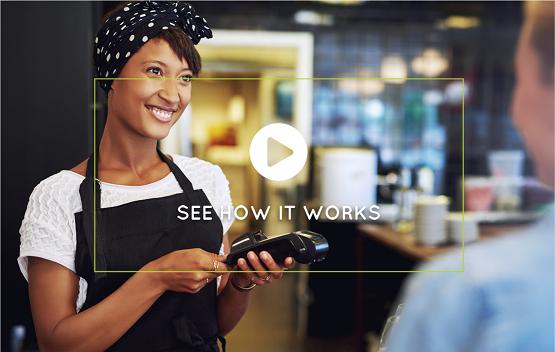 If you’ve got exciting plans to grow your business, the Capify Merchant Cash Advance could be the perfect solution. It’s ideal for businesses who accept credit and debit card payments from their customers; like retailers, pubs, bars and restaurants. Business owners are able to raise from £3,500 and the daily repayments are designed to not impact cash flow, making it a flexible finance option. At the end of each working day, a small percentage of your credit and debit card takings will be paid towards your repayments. If you have a slow day, you won’t pay back much; on a busy day however, you’ll repay slightly more. It’s finance that doesn’t impact your cash flow. The Merchant Cash Advance is a simple way to raise money for your business and you can use the funds to make your plans a reality, whether that’s a refurbishment, a marketing campaign, or replacing a broken appliance. Many business owners also raise finance so they can pay for stock, invest in their staff’s education, and hire extra help during busy periods. Decorate, invest in new furniture, or extend your premises to make room for more customers. Your business needs to evolve over time, and that includes the decor. Help your business run smoothly with best-in-class digital tools. Restaurants can turn table booking into a breeze, retailers can transform their stock ordering process, and any business with lots of admin can minimise time spent on paperwork. Whether it’s online or offline, launch a marketing strategy that brings in new, bigger audiences. With funds from the Merchant Cash Advance, you can get the help of a strategy expert, designer, or boost your budget. Find out how much you could raise today. Pay back the Merchant Cash Advance through your credit/debit card transactions, or make small regular payments to repay your loan. Capify’s goal is to prioritise flexibility, excellent customer service, and invest in funding solutions that work. Enquire now, and you’ll be guided through the process by a dedicated account manager. They’ll be on hand to answer your questions and take care of your application, from first contact to receiving your funds.